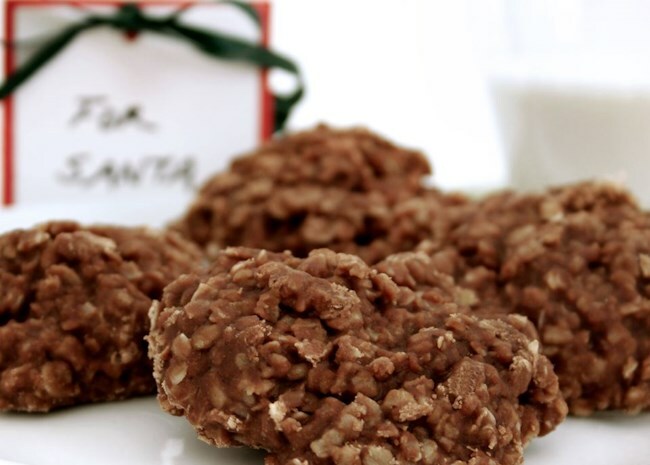 Let Santa's littlest helpers get in the spirit of giving—and make holiday memories in the process—with these simple homemade food gifts kids can help make. Each idea is perfect for getting little helping hands in on the action, and all are kid-approved treats that grown-ups will also love. We'll share all the recipes, including tips for packaging and presentation that make homemade food gifts look as delicious as they taste! Boxes or bags? If your food gifts are in for a long journey, choose sturdy boxes over flimsy bags. Also, if you want gift recipients to be able to see the gift without opening it, choose cello bags or boxes with a cello window. If you want your gift to be a surprise, go for cloth bags or solid boxes. Don't over-fill your package. Choose boxes or bags according to how many treats you plan to include in each gift. Don't over-stuff your package; leave enough room to showcase the presentation. Keep treats fresh. If you're not using cello bags, be sure to wrap any items that could get dried out in plastic wrap—or store in resealable zip-top bags. You can give plastic bags a festive feel by wrapping them in brown parchment paper and tying with a bow, or by tucking the sealed bag in holiday boxes. Get tips for mailing cookies. You'll find a lot to choose from in this list of homemade food gifts that kids can help make. Simple hot cocoa kits or cookie mix in a jar are great for really young "cooks," while marshmallows, baked cookies, and simple chocolate bark will be perfect for kid cooks with a little more—ahem—culinary experience under their belt. You'll find helpful tips for making and packaging each treat below. And remember to have fun—the gifts may not all come out picture-perfect, but the recipients will love the time and love that was poured into them! This food gift is a great one for very young children to help with as it's quick and easy, and since the "gift" is a pre-measured cookie recipe for the recipient to bake at home, there's no actual cooking involved. Get big enough jars. Use airtight containers like mason jars, and add up the ingredients in the recipe to be sure they will hold everything before starting. Write recipe directions on a card. Gift recipients will still have to add ingredients like butter and eggs, and they'll need to know how long to bake the cookies and at what temperature—so include a card with directions on it with your gift. This recipe's creator, Jill Saunders, recommends giving these along with a printout of the recipe: "You will be asked for it, I promise!" Very good tip. 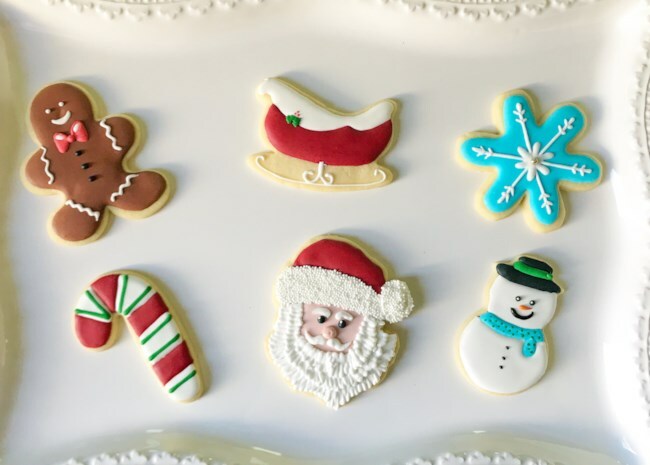 Tip: Use royal icing to decorate cookies; it dries to a hard, non-smearing finish so your cookies will arrive looking their best. 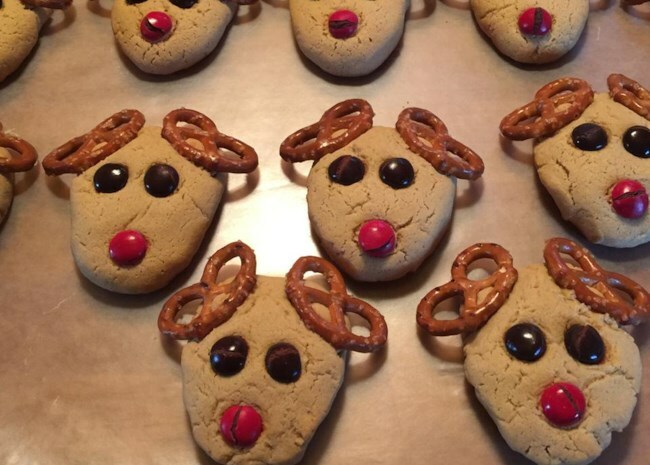 Recipe creator JMEVNO says, "These reindeer cookies are really adorable! Children enjoy making and eating them. Add a red M&M® to make Rudolph." This is a very easy, very tasty cookie recipe that requires zero baking, making it great for anyone working with little ones. They can help pour ingredients, stir, and form cookies, feeling proud that they had a hand in making these delicious treats from start to finish! 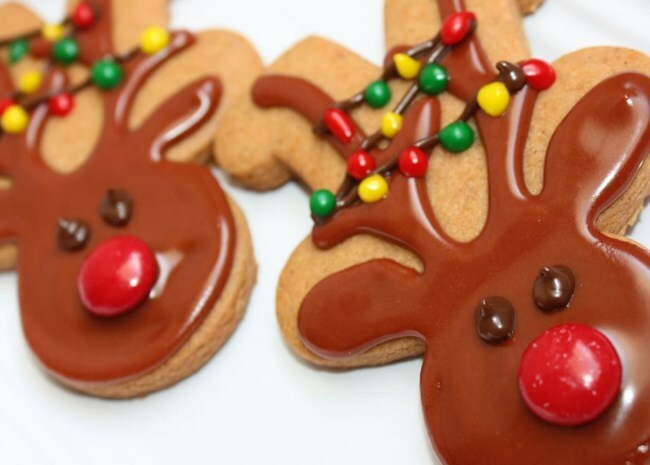 Decorate these cookies like traditional gingerbread men or get creative like footballgrl16 and turn them upside down to decorate into reindeer faces. Or do some of both! Homemade marshmallows are another great food gift kids can make. They are surprisingly easy and really fun to decorate in a variety of ways. One basic marshmallow recipe has so many possibilities. Dust them in powdered sugar like usual, try granulated sugar for a bit more sparkle, or toss in cocoa powder for a lot more chocolate! You can also use cookie cutters to make festive shapes. Tip: cookie cutters that have more intricate designs don't come out as well, so keep them simple. And you can also dip them in chocolate, add crushed candy cane (refrigerate until the chocolate hardens), or even dust in cocoa then dip in chocolate. If you have lots of presents to give, make several batches and create assorted packs! Get easy tips to make homemade marshmallows. These recipes are easy to double or triple to make large batches for multiple gifts (just be sure you have enough pans!). And the broken pieces look beautiful packaged up in cello bags. Try one of the top-rated recipes below. This classic recipe has layers of both semisweet and white chocolate—topped with crushed candy cane—and is always a winner. 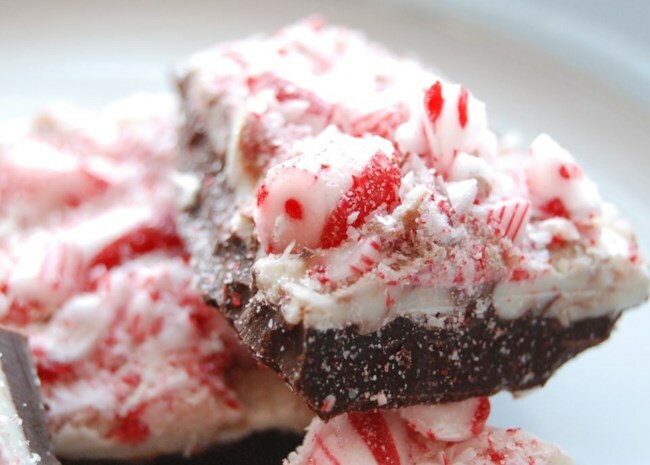 The holidays—and peppermint bark—only come around once a year, so you might as well enjoy it fully! This five-star recipe's secret to success is its almond-y flavor. Toast whole almonds first, then pair with almond extract for double the almond deliciousness. 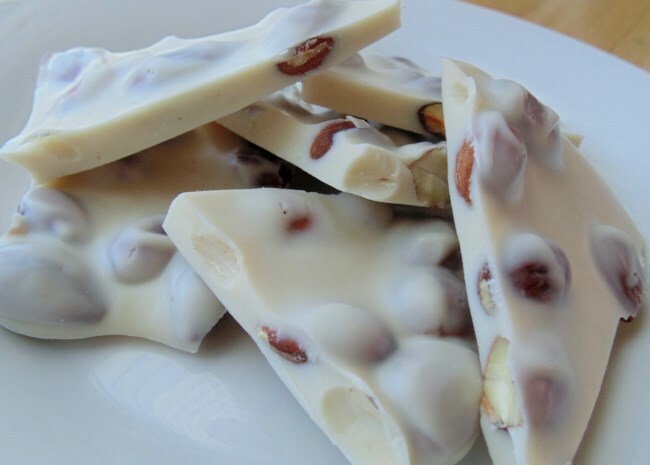 White chocolate fans will love this bark, which is packed with macadamia nuts and dried cranberries. 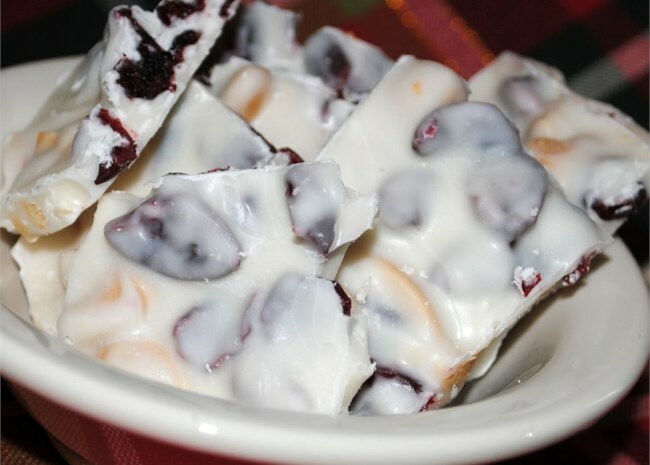 Raisins are also a great substitute for cranberries in this recipe! Use this cocoa powder recipe to gift jars of hot chocolate mix to friends and family, or create boxed kits with marshmallows (store-bought or homemade), caramels, candy canes, and maybe even a set of mugs. Have extra cookies? Put some of those in there, too—the possibilities are endless!